We"re coming up on our first few shows after the harvest all-star break. 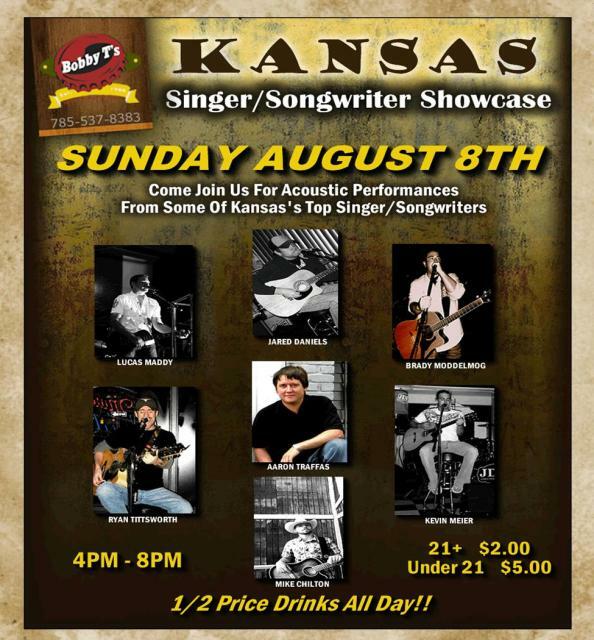 This weekend is a one-two puch at Bobby T"s, with the band playing Saturday night with our friend Ryan Tittsworth and a Country Kansas Singer Songwriter Showcase the following day that you won"t want to miss. 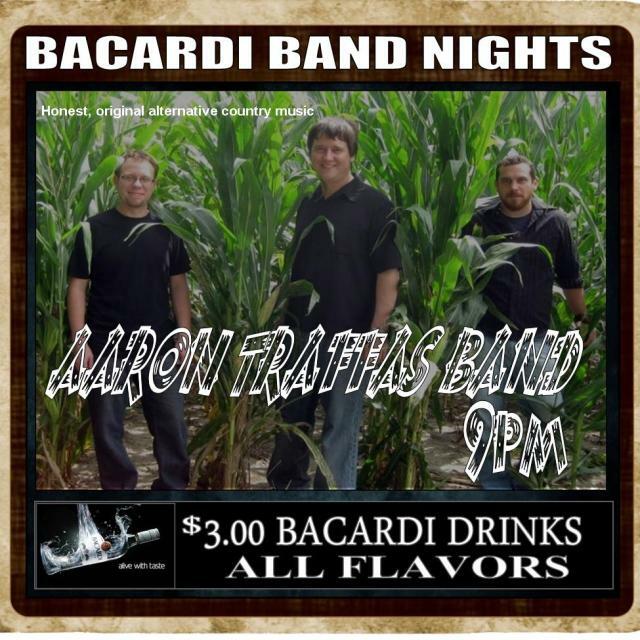 If you MUST miss the shows this weekend, tune in here to aarontraffasband.com where we"ll be broadcasting live. Stay tuned to the website for schedule additions. Saturday 7 August | 9 p.m.
Saturday 8 August | 4 p.m.
Saturday 9 October | 9 p.m.
Saturday 23 October | 9 p.m.
Hope to see you this weekend at Bobby T"s.